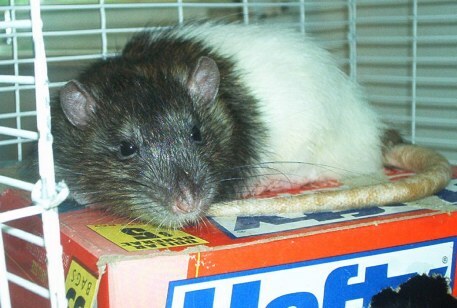 Rats are intelligent animals who need mental stimulation or they'll become bored. Other accessories in their home can offer them security. These are commonly sold for ferrets, but rats love them too! 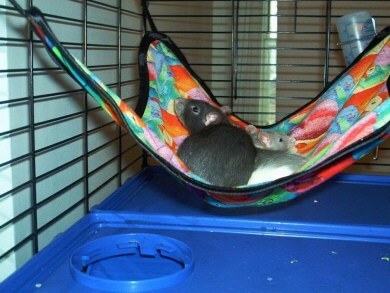 Rats love them so much that they will all sleep in their hammock and eat in their hammock. Hammocks get dirty really quickly. Some rats are big chewers and will destroy hammocks quickly. You can make your own hammock out of a scrap of cloth and paper clips. Rats like to have a secure place away from drafts to snuggle and sleep. You can buy a variety of plastic shelters in a pet store. Make sure to get ones made for ferrets or guinea pigs, not hamsters or gerbils (they are too small). You can make a shelter out of a Tupperware container. Cardboard boxes are good too, and rats will chew new doors and windows for themselves. (Replace them as they get destroyed.) Wood boxes aren't a good idea because they cannot be easily cleaned. Boxes, toilet paper tubes, and random scraps all make good toys. Before you throw away an empty box, look at its shape and size and decide if your rats could climb into it or on top of it. Smaller containers can be stuffed with treats and tissues. Any bit of cardboard will let your rat practice it's natural creative construction/destruction. Remember to throw out any bits that get soiled. Wooden toys don't last long with rats, so get only cheap/disposable ones. Make sure the wood is safe and not treated. Toys made for birds or small animals are safe. Loose toys will likely get peed on or buried. The best wooden chews are ones that can be hung in the cage. Flavored wooden bird or rodent toys are available. Most rats love to chew on flavored wood, and it will keep their teeth healthy. Some rats won't use wheels, but others (especially females and young rats) will and love to. To prevent injury, get a wheel with a solid running surface; there are several kinds available. Rats need wheels 11" or 12" in diameter, no smaller. Rats are more comfortable running beside a solid surface, so try to get a wheel with a solid back on it. 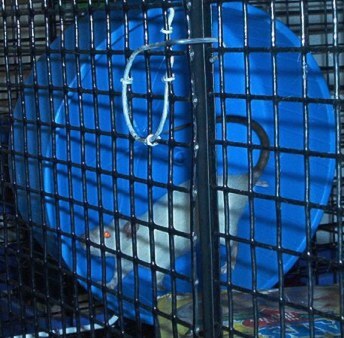 Most rats are afraid of these because not only do they feel trapped but also unstable. If you want to try one, buy large ones, made for guinea pigs or chinchillas. The ones marketed for rats are much too small. Do not force your rat into one if he doesn't like it. 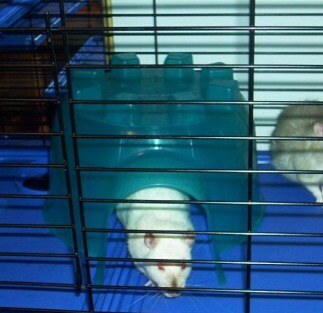 Rats like climbing and chasing each other. Remember that whatever you give them will get chewed and peed on, so buy things you can clean or throw away and replace. Climbing toys are usually sold for birds or you can make your own. 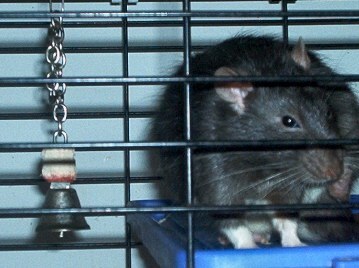 Some rats like to make noises and push or carry things around. You can give them bells to hang in the cage (usually sold for birds). Some rats like jingle balls made for cats or golf balls. If a ball has a small hole in it, you can put treats inside.